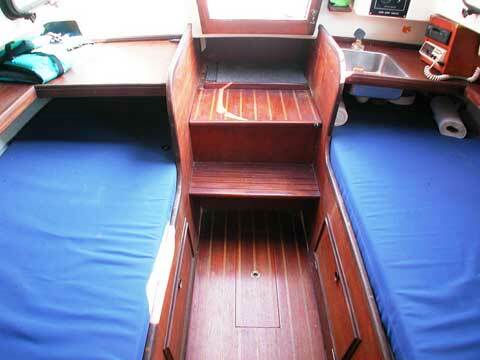 There's plenty of yacht packed into the Cape Dory 25; inside and out you can see the quality and attention to detail that makes Cape Dory boats stand apart from the others. 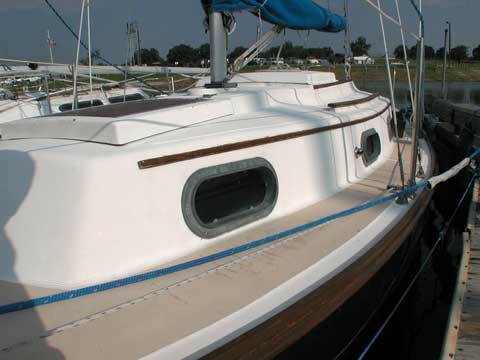 She is a sloop rigged, four berth cruiser with enclosed head, hanging storage, galley with sink, ice box, and stove area. Electrical system includes cabin and navigation lights, The Cape Dory 25 is factory equipped with sails, winches, six bronze opening ports and much more. She offers a degree of stability hardly ever found in twenty-five footers. 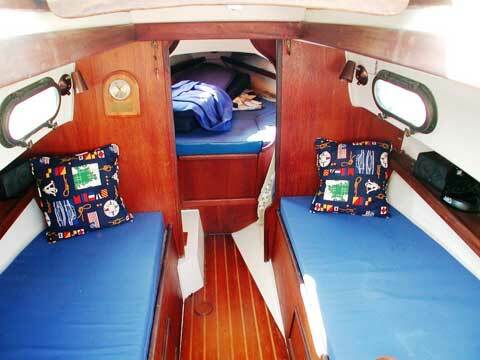 The Cape Dory 25 is particularly well suited to areas where wind and weather conditions are apt to change quickly. 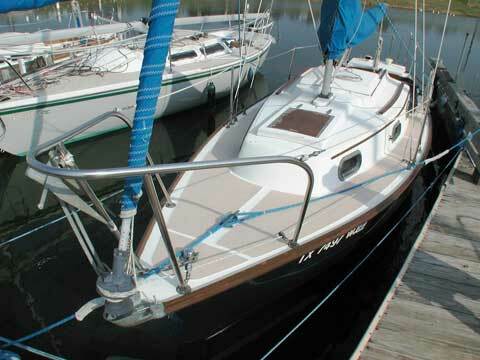 She was designed to give excellent performance over a wide range of conditions. 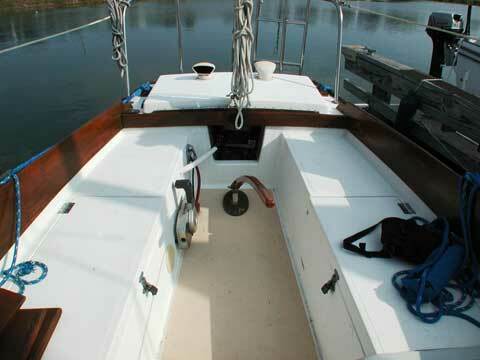 There is no substitute for the easy motion and ease of steering she and other Cape Dorys offer. Sail Area: 264 sq. ft.